We ship to the United States only. Free shipping. Contact Harry @ harry@flymall.org with shipping instructions. 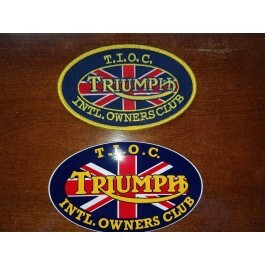 Triumph International Owners Club oval patch and oval sticker. These are both new, un-used.